Pakistan justifies the act saying it may be too onerous for small countries to have to participate in another working group as they have staffing issues. 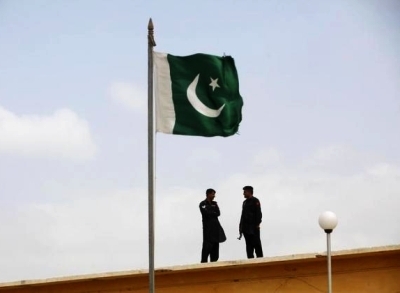 Pakistan has scuttled an India-sponsored proposal on setting up of a working group on counter-terrorism during the deliberations at the senior official-level 17th summit of the Non-Aligned Movement at Margarita Island in Venezuela. According to top government sources, as NAM diplomats strove to set up a working group on terrorism to coordinate their positions in international fora, Pakistani representative Tasneem Aslam alone spoke against it and opposed the consensus that had built around the proposal which had the support of a very large number of NAM delegations. "Despite being isolated, Pakistan continued with its objections to stall the proposal emphasising that there could not be a consensus on terrorism," the sources said. The proposal by India, whose ministerial delegation is led by Minister of State for External Affairs M J Akbar, gathered a lot of steam following the minister's strong pitch against terrorism at the ministerial segment. Interestingly, there was no meeting so far between Akbar and Pakistan's adviser to the prime minister on foreign affairs Sartaj Aziz who is also here for the conference. "The Indian proposal aimed to foster greater cooperation between NAM states who are the biggest victims of terrorism as 20 NAM states from all parts of the globe spoke strongly in support with Pakistan being the sole country opposing the broadly supported initiative," sources said. Aslam said it may be too onerous for small countries to have to participate in another working group as they have staffing issues and also why a working group only for terrorism and not for other issues. Whereas the attempt was that "when terrorism issues are on UN agenda the working group would make statements on behalf of the NAM". "It would negotiate together as a bloc. It would try and have common positions among NAM members on new terrorism-related issues. In effect it would be a useful platform for NAM members to cooperate together and enhance their negotiating position. That is the purpose of the proposal," sources said. Now it is to be seen whether the proposal will be part of the final statement to be prepared for the summit which is going to conclude on Sunday.